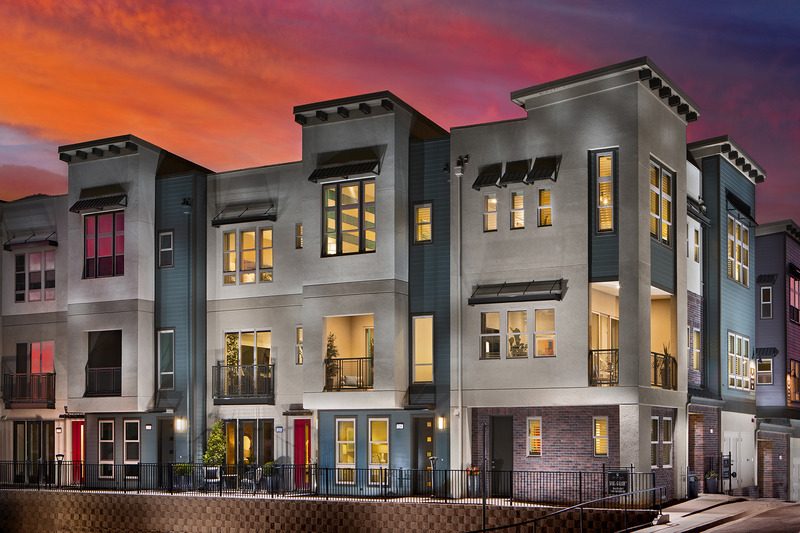 Ellison Park in Milpitas by The New Home Company is a new neighborhood of modern, multi-story townhomes located in the heart of the Silicon Valley. Set within the Center Pointe master-planned community, Ellison Park is centrally located near all major high-tech employment centers in the region, and will benefit from superior connectivity including two major freeways, light rail and the new city BART station within walking distance. Ellison Park, designed by JZMK Architects, will offer a variety of floorplans featuring: • 114 Townhome Residences • 1,887 to 2,688 Square Feet • 3 Bedrooms • 3 Full and Up to 2 Half Baths • Rooftop Decks on Select Floorplans The community will feature several walkways and is located directly across the street from the newly planned Milpitas city park and Elementary School. Ellison Park will offer a smart choice for Silicon Valley living, a South Bay launch pad that provides more value and connectivity to keep you close to what matters most. We encourage you to join the Interest Registry today to be kept informed of the latest news and progress.